From the annexation of Crimea, Russia faces economic sanctions. Now the US government is again tightening its measures. Even a luxury hotel is interested. Due to the conflict in Ukraine, the United States imposed further sanctions on Russia. Punitive measures are directed against three individuals and nine organizations and companies, as announced by the Ministry of Finance in Washington. They are accused of promoting the Russian incorporation of the Ukrainian Crimean peninsula with private transactions or being responsible for human rights violations in eastern Ukraine. Among other things, sanctions are directed against investment and privatization projects that "support the Russian attempt to integrate the Crimean region", according to the US Treasury. One of the objectives of the sanctions is Vladimir Sarizki, former commander in chief of the missile force and Russian artillery. He currently runs a hotel project in the Crimea. Equally astonished is the luxury hotel "Mrija" in Yalta, opened in 2014 shortly after the annexation of Crimea. The US ministry has called the hotel "the most important Russian platform to present investment opportunities in the Crimea". Sanctions will block the potential and other assets of those affected in the United States. Citizens and institutions in the United States are forbidden to do business with them. The new sanctions extend the already existing package of US punitive measures against Russia for the conflict in Ukraine. 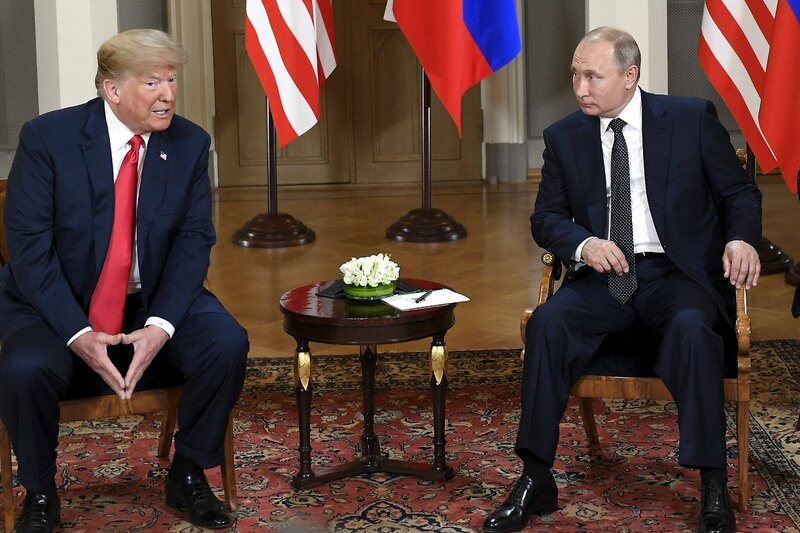 Despite his statements that he wants to improve relations with Russian President Vladimir Putin, US President Donald Trump has confirmed the sanctions imposed by his predecessor Barack Obama. Trump has also imposed a number of other sanctions on Russia in its first two years in office, including interventions in Ukraine, alleged Russian interference in the 2016 US election campaign, and a toxic attack on the former agent. Russian Sergej Skripal in the past March. According to the US State Department, further sanctions are being prepared for the Skripal attack. Trump and Putin will participate in a funeral service at the end of the First World War 100 years ago in Paris on Saturday. However, there is no bilateral meeting of the two heads of state.